An upgrade on the original design, the MB845i uses 845 valves, delivering speed, detail and agility. Earn 4999 loyalty points when you order this item. - 480mv (high) & 1000mv (low) input sensitivity. - Custom hand-wound mains/output transformers using Japanese special long grain iron and low oxygen copper oven baked in resin to minimise mechanical hum and increase reliability. 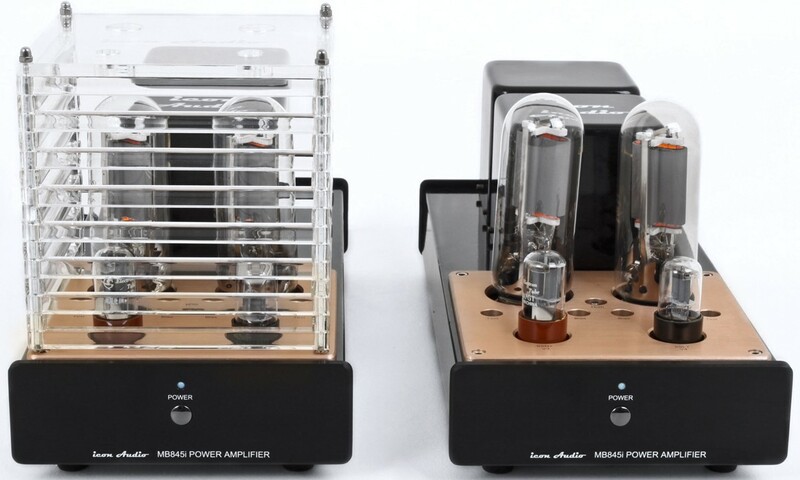 The Icon Audio MB845i Mono Block Power Amplifier is an upgrade of the original design, the main change is the use of 'LDT' output transformers which make use of a tertiary or 3rd winding to reduce distortion and increase linearity. The brand new design features a heavy gauge steel chassis, 20 mm solid alloy front panel and Icon Audio's famous stainless steel and Plexiglass valve cover to create a stunning visual impression. 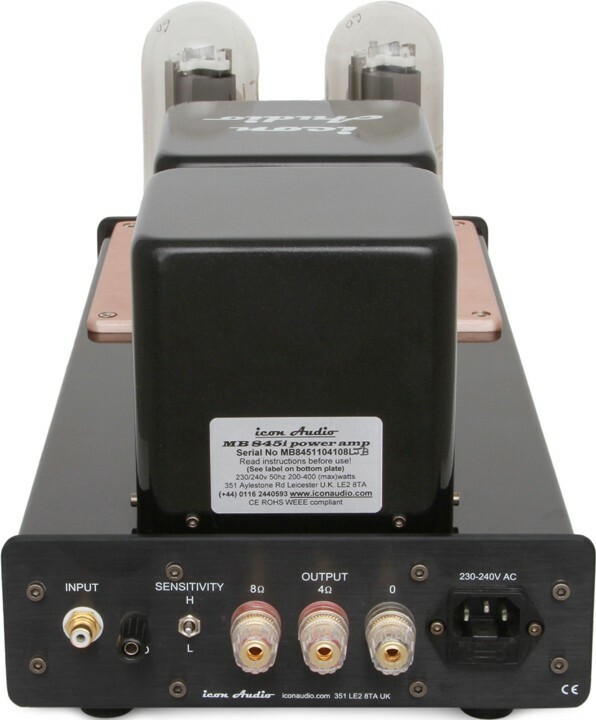 On the scales at 50Kg (pair) this amplifier is no lightweight in quality or performance and should give many years of excellent service. 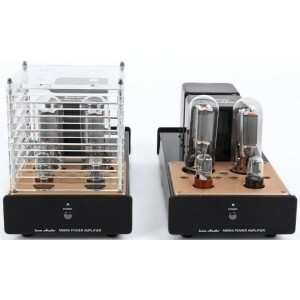 It is relatively easy to make an amplifier out of the myriad of parts that are available today, but in order to create a sound which above all is truthful without “harshness” or a mechanical sound, all the components must be in sympathy with each other. Our preference for simple designs, gives a faster more transparent sound but plenty of power in reserve, Icon Audio used all their expertise to create a simple practical design similar to our popular MB90 KT90 mono-blocks. Two 845s in class AB1 produce as much “Class A” as a pair of KT66/300Bs in pure class A, but more than four times the power in AB1. And their low idle current causes much less stress on the tube. 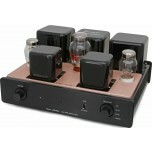 As it is less than 50% of the maximum rating, preserving tube life. A useful feature of the MB845s is the high and low sensitivity. 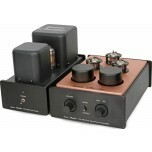 This enables MB845s to work with both “Passive” and conventional pre amplifiers. This is not done by the usual attenuation which increases noise and reduces quality, but genuinely changes the sensitivity (or gain) of the input. 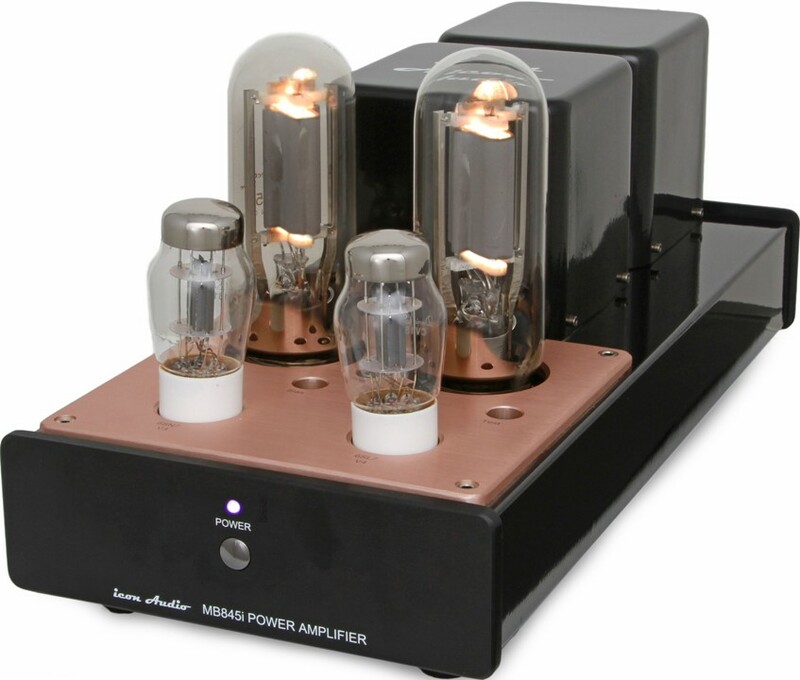 Surprisingly from such big amplifiers is how well they perform at low powers. Their agility and detailed texture of strings and vocals is quite astounding.